Florence has weakened to a tropical depression but "major river flooding will continue over a significant portion of the Carolinas," the U.S. National Hurricane Service said Sunday. Storm Florence weakened on Sunday as it swept through the Carolinas but dozens of communities are devastated and "epic" amounts of rain could still fall, officials said. The storm was downgraded to a tropical depression around 5 a.m. ET as it trudged inland, knocking out power and causing at least eight deaths as floodwaters kept rising. "This is still a catastrophic, life threatening storm," said Zack Taylor, a meteorologist with the U.S. National Weather Center's Weather Prediction Center. Winds have dropped to about 55 km/h since it roared ashore on Friday as a hurricane and it is crawling west over two states at 9 km/h, the Miami-based National Hurricane Center said early Sunday. Florence was drifting westward over South Carolina, reaching about 30 kilometres southeast of Columbia S.C., at 5 a.m. Sunday, the NHC said. 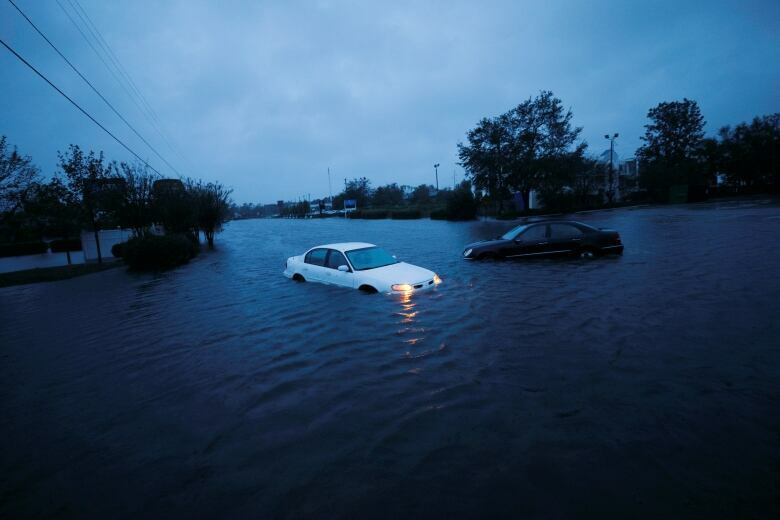 Up to a metre of rain is expected along coastal areas of the Carolinas and up to 250 millimetres in southwestern Virginia, it said. 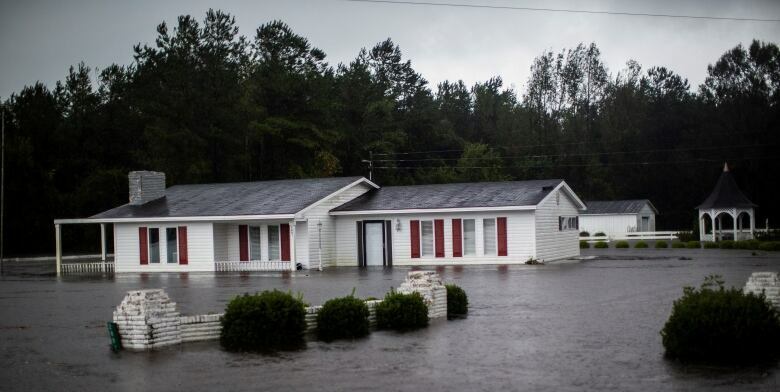 In New Bern, about 140 kilometres northeast of Wilmington at the confluence of two rivers, Florence overwhelmed the town of 30,000 and left the downtown area under water.